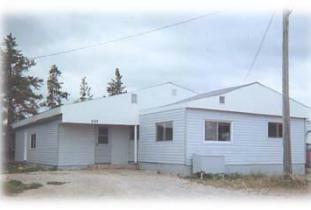 ACE Gillam Accommodations "GILLAM MANITOBA". Accommodations are clean, comfortable, well maintained. Plenty of room for work crew, sports teams or hunters/fishermen. Also work well for anyone traveling to Gillam for work or play. Facilities have fully equipped kitchens, microwave, washer, dryer, a full pkg satellite, & smart TV, high speed wireless internet, snow removal & garbage pick up. All have ample outdoor electrical plugs & large parking areas that can accommodate extra trucks and/or trailers. We have recently added new barbecues and you can enjoy the screened in Gazebos & fenced yards. All facilities are well stocked with bedding & linens and kitchen dishes, cooking utensils etc. "226 Michener Ave" is approximately 2200 sq ft, with 10 plus beds, a large common area. There is a large 8 ft dining room table that can double as a board room table for office or business requirements. Also a standard large dining room table. 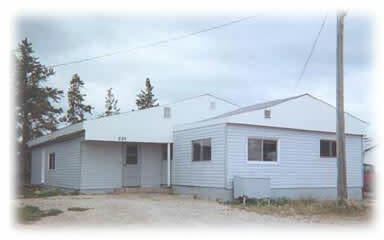 "245 Gordon Ave" is 16 x 75 facility plus an addition. It has 3 bedroom There are 2 beds in 1 of the bedrooms and a double bed in the other 2 bedroom, plus a new "Day Bed" in main area. Also a large attached gazebo with a twin bed that can be used in summer season. Weekly, monthly, group rates for rental of entire facility upon request. Typically only accommodate 1 work crew per house at a time. Call or text 204-383-0330! !